Ramping up technologies without first considering how they will integrate into the greater IT fabric can be a perilous and potentially costly decision. 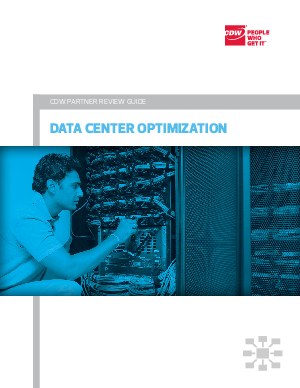 In the pursuit of more scalable efficient and agile systems, an effective, individualized data center optimization strategy is not just crucial, it's a necessity. Organizational need identification - What does your organization require? And why? Environmental assessment - What are the opportunities and limitations of your overall physical data center? An environmental assessment can also include a network assessment as well as a storage and consolidation assessment. Future assessment - How will you scale or flex your system requirements based on your organizational needs? Virtualization environment assessment - How virtualized is your organization right now?